Here is a good start: don’t leave your instrument–in the case or out–where a baby wouldn’t be comfy and safe: in the car alone, in the hot sun or chilling breeze (whether outside or through a window), over a heater/AC vent, in the garage/attic/basement, with the checked baggage on the airline, with a careless (or clueless) person, and so on. It’s common sense…once you know it. Avoid excessive heat, cold, dry and damp, as well as intense sunshine. Also beware of rapid changes in temperature and humidity, and of course places where it’s liable to fall, or be dropped, bumped, stepped on, tripped over, drenched, stained, lost, or otherwise exposed to harm. Exception: your baby might enjoy a warm bath, but don’t bathe your instruments (or take them swimming;-). Cozy…but I wish it was a lighter color. Light colored cases are a good idea, slowing heat build up when exposed to sun. The rattan Eddie Finn is cute and OK if you pad the neck area so the tuners don’t contact the case. The Uke Crazy tweed is not bad and has strap rings. I’d love to have a Hoffee–very expensive, though worth it if they ever save the instrument–but I really like the purple one, which hardly meets my “light color” advice. The white one would be excellent. In the car, it’s usually better to keep your instrument in the passenger area with you (where it’s comfy and easy to grab when you get out), placed where it won’t fall or bang around (behind the seat is often good), and covered with light-colored cloth (to avoid prying eyes and hot sun). A light-colored blanket or quilt will help hide the contours of the case (and dog hair explains the blanket to nosy lookers). I use a soft cloth to wipe down the instrument after playing. Stores sell fancy cloths for the purpose, but a worn out t-shirt or other soft material works fine. I’m extra classy, using an old (clean!) cloth baby diaper on some instruments. You don’t need to “feed the wood”; you don’t need polishes and oils unless the builder says you do (and I don’t). They are primarily about being shiny, like oil on a body builder, and (believe it or not) about fragrance. Certain waxes are OK for wood (and are used on precious antiques), but I don’t wax or oil my instruments, I just wipe them after playing. Lastly, if something about your instrument seems wrong or even strange, get it looked at. Bring it to me if it’s convenient, otherwise shop as for a doctor; you want competence, and a sense that you are connecting and communicating clearly. One clue: if it’s a structural repair and the shop isn’t planning to use a glue amenable to reversal and further work (hide and fish glues top this list), and isn’t known for excellent work on high value instruments, you should probably keep looking. Great question; aside from trauma or theft, the biggest risks for your instrument are moisture and temperature extremes (which are related). Unless you do outdoor gigs in Antarctica this won’t change anything while the instrument is in your hands, but it should affect how and when you store your instrument. High temperatures can wreck an instrument’s finish, and worse yet cause glue to creep or fail–for instance slipping or tearing off the bridge, or even distorting the basic geometry of the instrument. Being left in an “it’s only warm” car, in a case in the hot sun, or even outside in direct sun for long–especially dark woods and finishes–is risky and voids any manufacturer’s warranty. “It’s just for a few minutes…” should sound an alarm in your mind! 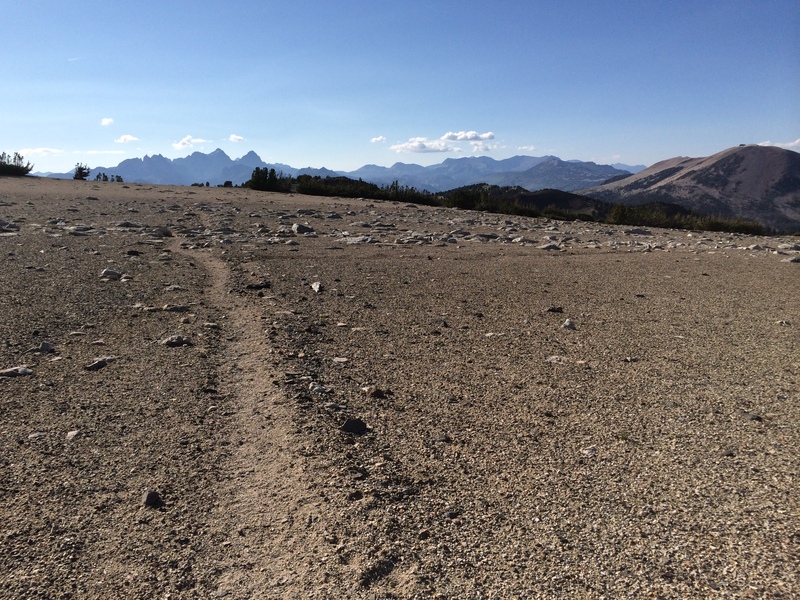 Dryness–i.e. low relative humidity–causes wood to shrink across the width (though not along its length). If it goes too far, the wood will crack to relieve the stress, and joints can be stressed or broken as well. The instrument is built at 40-45% humidity, and the risk is not great at 35% for instance, but increases the further the humidity decreases. Furthermore, relative humidity decreases as temperature increases, so if your instrument is cooking in the car, attic, or sun, the humidity is simultaneously dropping like a rock, exposing you to cracks and glue and finish failure! Low temperature and high humidity have their own risks. 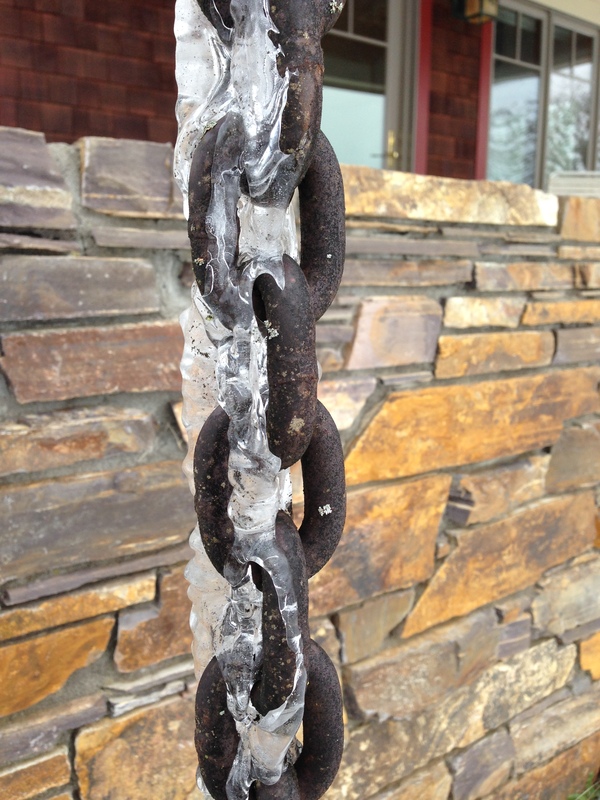 Low temperature raises relative humidity and metal string tension, and extremes can cause finish cracking. High humidity (whether hot or cold) causes the woods to expand, often raising the action, making playing more difficult, changing the sound, and stressing joints. Some glues are prone to failure with long exposure to high humidity, and in extreme cases molds and other unpleasant things can grow. How to manage this? First of all, don’t let it stop you from playing; your instrument is almost always fine if it’s in your hands. Second: get a decent hygrometer so you know the relative humidity–I have more than one of the little digital models. If the relative humidity in the immediate environment is consistently (or dramatically) below 35% or above 55%, consider keeping the instrument in a case with some kind of humidity control when you are not actively playing. Use a tighter range if you wish, and adjust it up or down if you know the instrument was built-in a damp or dry environment. You can research humidity control options online, where people discuss solutions at length. A word to the wise about the (in)famous “potato or apple in a baggie” approach: spoiled food in your case can be damaging and unpleasant. You bring the wood to (musical) life with your playing; the more you play the better. In turn, by listening carefully and experimenting, your technique will expand, realizing more of the instrument’s potential as well as your own. Mostly the change is gradual, easier for people who haven’t heard you in a while to recognize than for you. Don’t worry about it; focus on the music–and the joy of being able to make and share it–and the change will come naturally. Something will eventually bring it to your attention, and it will be a nice moment. The backs of my instruments are built to move and actively contribute to the sound if allowed to vibrate freely. Try it: play with the back pressed against your body–probably your normal playing position–and again with the back held away. Wow!–extra resonance, volume, sustain, and yummy goodness when it can vibrate. A large percentage of mandolin players employ a Tone Gard for this purpose, and they can be custom made for your uke as well. It’s best to put it on and leave it, so make sure it will fit your case. What tunings work best on the GT? The first GT for Kimo was built as a more “sophisticated” or “experienced” sounding tenor, with especially warm resonance and extra sustain to support jazzy fingerstyle numbers even at slow tempos. I approached the design by scaling down some great classical guitars to balance a 19″ scale, which by lucky coincidence resulted in a roughly baritone sized body. strings 1-4 are…<drum roll>…tenor ukulele, low G tuning (aka C6). strings 2-5 yield pitches from D3 to E4, the range of a baritone ukulele. strings 2-6 yield pitches a 4th lower than standard uke tunings, from A2 to B3. Said a different way, 19″ works great for both tenor AND baritone simply by choosing and setting up the right strings. Because the differing setups typically involve changes to the nut and saddle you won’t want to switch back and forth every week, but it’s a sweet spot for versatility and exploration. In their explorations players have found that tunings in between tenor and baritone–for example F-Bb-D-G (Bb6)–are also delicious; more smooth/warm/jazzy than tenor C6, but with more clarity and projection than baritone G6, and with the added twist that chord voicings sound intriguingly different because they aren’t on the usual pitches. Others go lower than baritone (with G2 the lowest note I’ve seen so far), but I think the lowest notes are more useful on a guitelele, or for cool sounds in the recording studio. Now you know the range of tunings that I build the GT for–primarily standard tenor C6 to a modest distance below baritone, say F6 or perhaps E6. Where in that range is “best”, however, is defined by your hands, ears, and musical sensibilities. This is not to pass the buck; different players simply bring different “best” sounds out of the same instrument, which is one of the delightful surprises that makes building so interesting. A sensible follow-on question might then be “Given it’s baritone-ish body size, how does the GT sound as a tenor?”. Unfortunately (for a FAQ) it’s impossible to answer questions like these in a full and meaningful way. The complexity and subjectivity of sound defies definitive written description; witness the endless and often heated forum debates about “tone”. But of course you still want me to try, so here’s how it strikes me: the larger box and longer scale clearly add sustain and deeper/warmer resonances–which can really enhance slow to moderate tempo fingerstyle playing and jazzy chord voicings. I feel the GT maintains good clarity and projection in the upper registers, but I hear the bigger box there as well, in the same way you’d hear the even bigger box if those notes were played on guitar. From there, description rapidly trends metaphorical; more “mature” or experienced, fat, smoky, chocolatey, seductive, and so forth. Until you can play in person, your best bet is videos on YouTube. Why do you offer the 455mm/17.9″ scale Lyric? After designing the 19″ scale (and larger bodied) Grand Tenor with Kimo Hussey, I was smitten by the comfort of the longer scale. However, the extra string tension (in standard tuning) is not for everyone, and on the Standard tenor body 19″ either pushes the bridge too far south, or makes the uke more neck heavy than some folks like. I had been doodling with scales that would position the bridge in what is often called the classical guitar “sweet spot” while still keeping 14 frets to the body. Like a math story- problem: “a train leaves Chicago headed east at 60mph…”, except this involved nut, fret, and bridge positions, forces on the top/bracing, and so forth. A conversation with Corey Fujimoto–whose rendition of a Bach violin sonata had earlier blown me away–reinforced my intuition that roughly 18″ would be stellar, and after studying some great classical guitars and translating to tenor ukulele, 455mm/17.9″ popped out. There are a number of design reasons pointing this way – increased responsiveness and lyricism from the sweet spot bridge location, more input energy from increased string mass and tension, and so forth. However, instruments and wood are so complex that guaranteeing the sound of an individual instrument is a tempting but ultimately false idol…not that folks don’t endlessly try; just check the 25.4″ vs. 24.9″ steel string debate to name but one! And since the Lyric is a new model, and tenors of this length are uncommon in general, we don’t have large populations with which to make statistical generalizations. “Corey likes it” 🙂 – more finger room than a standard 17″ tenor, but less than a 19″, where some stretches get pretty long. less string tension than a 19″ tenor (and of course more than a 17″). a lovely and powerful voice (or it walks the plank <cue pirate voices>). 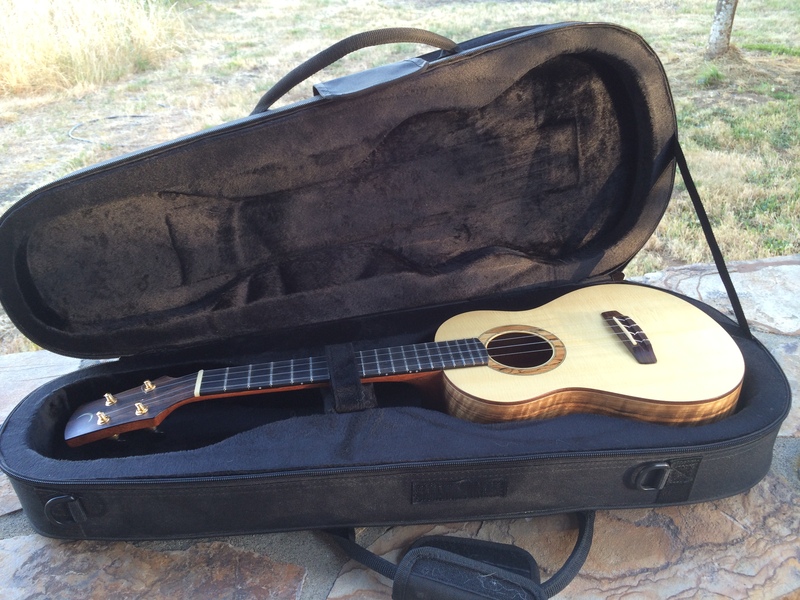 fits in most tenor uke cases; 19″ scales often need longer cases. D6 folks: I don’t currently suggest the Lyric for D6 tuning unless you are sure you want that much tension, which even on 17″ is notably higher than the common C6. The top/bracing can take it, but strings are designed to sound their best within a certain tension range, and D6 at 17.9″ may be pushing it. What’s that funny script you use? It’s an Elvish script developed by J. R. R. Tolkien, of Lord of the Rings fame. As a philologist (and quite a good artist) he developed the languages and scripts in considerable detail. This phrase is a variation on the last line of the ring inscription, saying “and in the music bind (join) them”, which expresses some of my feelings about music, community, and what I hope to contribute with my instruments. A generous expert in Tolkien languages helped me with the translation and rendering–thanks Maria! Geek note: I should be using classical mode Tengwar to render this Elven sentiment, but the so-called general mode (from the famed ring inscription) is so beautiful.